Serialism inspired composers of the 20th century to the prospect of new and innovative music. 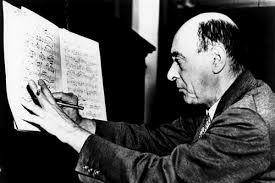 The Second Viennese School was group of composers including: Arnold Schoenberg, Berg, and Webern. These composers helped to develop and codify twelve-tone music. Twelve-tone music uses all 12 pitches of the chromatic scale without repeating notes to create music without a tonal center, where no single note is more important than any other. A tone row is created that helps to guide the composer in the selection of pitches. The composer chooses which 12 pitches he will use. The next step is to create a 12 X 12 grid of the pitches and place the first row of pitches in the top row. This makes it possible for the composer to keep the grid handy while composing and moving between consecutive pitches. Schoenberg stated that he composed twelve-tone music during walks and criticized systems of theory that were designed solely to help bad composers learn to compose quickly. Prime: The row moves from left to right. Retrograde: Prime is reversed; the row moves from right to left. Inversion: The row moves from top to bottom in the grid. Retrograde Inversion: The row moves from the bottom to the top of the grid. Once you have established a grid, you must number the rows from 0 to 12, starting with C. For example: C = 0, C# = 1, D = 2, D# = 3, E = 4, etc. The numbering system makes it possible to refer to each form of the row such as "Inversion 4" or "Retrograde 4". Diagonal movement across a grid is not permitted, since a diagonal move will repeat pitches. In traditional twelve-tone, only the order of the notes is restricted, other musical elements such as rhythm, dynamics, register, and articulations are not. However, Integral serialism permits the restriction of these elements as well. Combinatoriality is the combination of two rows to create two sets. Any two sets of twelve-tone rows may be be split and combined, provided no pitches are repeated. Integral serialism goes beyond twelve-tone to restrict other aspects of the composition. 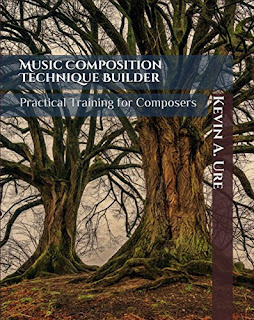 Specific rhythm, dynamics, register and articulations. or all elements to create a very formulaic composition. The elements in integral serialism are carefully controlled. These restrictions make it necessary for a composer to be extremely creative in his writing. 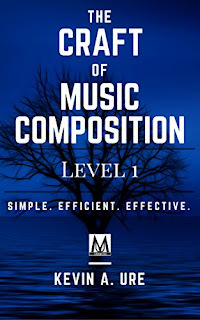 The creativity lies in the initial creation of the system, once the system is created, the composer simple follows the rules that he has laid out for himself. Composers have also created sets of differing numbers of notes. Most commonly, they will choose a number less than 12, thereby maintaining some semblance of a scale. Luciano Berio, in "Nones," uses a total of 13 pitches. In Integral Serialism, what can I do with the rhythm imposed? Once you've restricted the rhythm, you can change any other element and the result will provide continuity in the piece since the rhythm acts as the glue that holds the piece together. For example, if you choose to change the notes and dynamics while keeping the rhythm the same throughout, the rhythm will act as a unifying element of the work. 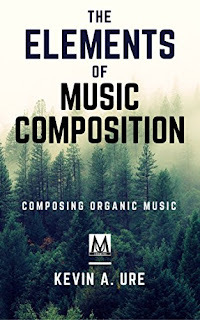 The idea is that when tonality no longer holds a piece together through its structural function, and the composer begins to drift away from a tonal center, bringing in other steadying elements will help bring conprehensibility and structure to a work. In your question, the structure of the piece would be realized through the recurring rhythm. An explanation for that would go beyond what I can provide in a comment section. However, I can tell you that there appear to be "controlled" element of both dynamics and rhythm. This means -- some of the short two or three note rhythms in your example have specific dynamics attached to them. So, you should keep the rhythm and the dynamics the same as you compose the piece. 1) Copy the rhythm and dynamics exactly. 2) place the copied rhythm immediately after the original. So you know have a piece twice as long. 3) Change only the pitches of the rhythm and don't repeat any pitch until all 12 chromatic pitches have been used. Unfortunately, you're asking a question that would require a lot of knowledge to answer. You would need to know about set theory, chromatic variation, elongation, and many more theory terms to learn the answer to your question. My response points you in the right direction, but you need to learn about 20tg Century music theory and composing techniques for a complete answer. Sorry for the typos. I'm on a phone.